Looking for a place to stay in Amsterdam? You can choose between many hotels, but most of them are expensive. We suggest to try a hostel! We selected the four most memorable and affordable hostels of the city. The WOW Hostel is located in the west side of Amsterdam near station Sloterdijk. The place provides an affordable accommodation for travelers with a creative mind that likes to meet fellow travelers and like-minded people from all over the world. It’s not only a hostel, they also facilitate residencies for recently graduated artists. Last, but not least: they also have a restaurant. You want to have an unique experience? Book at the Train Lodge! Instead of hotel rooms you sleep in the original carriages of an old night train. This hostel is also located next to station Sloterdijk. Schiphol Airport is 15 minutes away. 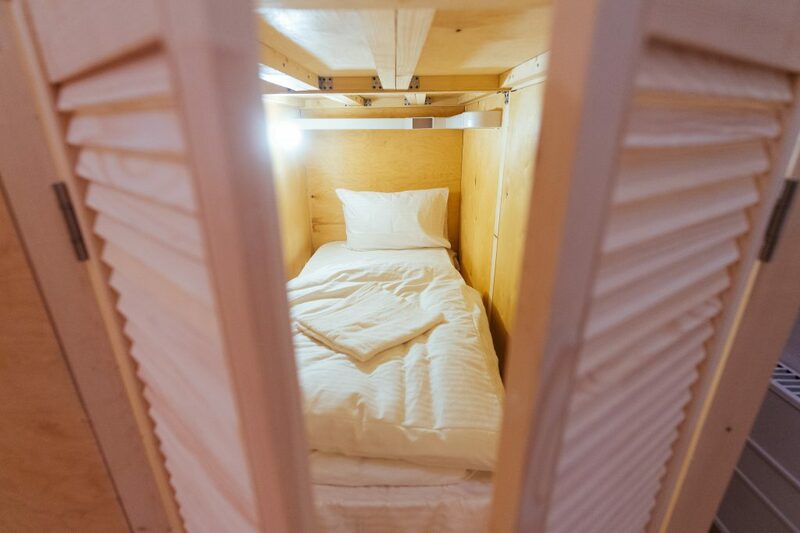 The Train Lodge offers cozy berths in shared or private compartments for adventurous travelers. This former zoological university building is now one of the most beautiful hostels in Amsterdam. Generator Amsterdam is located in the eastern side of the city next to the Oosterpark. This places offers many possibilities to connect with other travelers from all over the world. It has many social areas like a café and an outdoor terrace. It also has a secret late night bar in the basement. They even serve cocktails, ice cold beers and alcoholic concoctions that will make your night one to remember! Okay? We personally think that is an underestimation. This hostel has everything to make your trip to Amsterdam perfect. Stayokay is located in a typical Amsterdam neighborhood at the eastern side of the city. The city centre is less than 15 minutes away. Stayokay does not only offers a nice place to stay, but they also have their own restaurant and cinema theatre. A good place to be entertained.